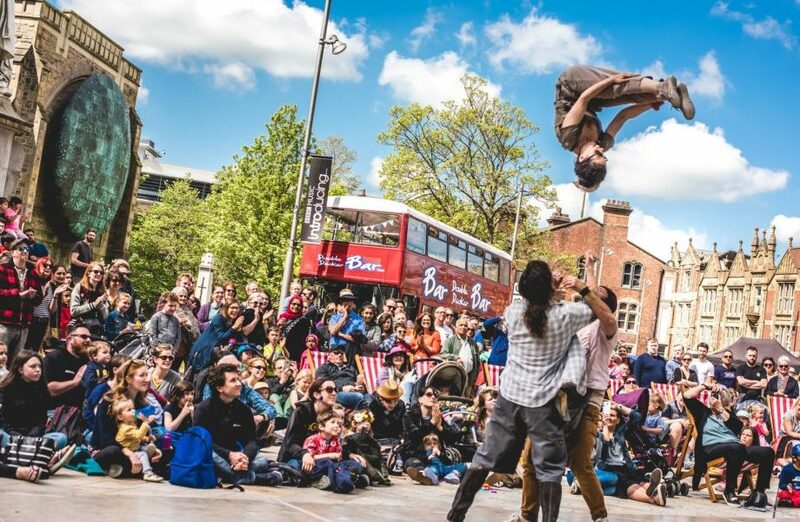 Promising to be even bigger and better than ever before, the award-winning event attracted 40,000 visitors to Blackburn town centre last year with its array of making activities, outdoor performances, innovations in science and technology and art installations. In 2019, the festival will be held in summer for the first time – running over the weekend of 15 and 16 June. And, festival organisers, including Red or Dead founder, designer Wayne Hemingway MBE, are now putting a call out for artists and British manufacturers to get involved and help make it the most ambitious event yet. Announcing the dates for the 2019 National Festival of Making is a fantastic way to celebrate Lancashire Day and everything that’s great about the county. And, it’s exciting news that Blackburn will be hosting this award-winning festival for the third year running. The festival provides a massive boost for the town’s tourism profile, supporting businesses in the borough – which is very much a priority for our Council. This year, the event promises to be even bigger and better and we are really looking forward to welcoming more visitors to showcase how Blackburn has transformed over recent years and what the town has to offer. News of the 2019 dates comes hot on the heels of the Festival of Making scooping the Large Event of the Year gong at the Lancashire Tourism Awards. And, it’s also been shortlisted for the prestigious UK Festival Awards in the Family Festival and Best Non-Music Festival categories. The festival celebrates hands-on creativity, contemporary manufacturing and tech-led making and this year more than 10,000 people sat down to ‘make’ in more than 100 of the festival workshop sessions. What has been achieved by The National Festival of Making in just two years is nothing short of remarkable. Most importantly, the National Festival of Making is helping the region reclaim its status as Britain’s making and manufacturing hotbed. This is something that has always been in the ‘place DNA’ of the region and will stand it good stead for its future well-being. The industrial Revolution blossomed in Blackburn, Darwen and Lancashire – making the area the heart of making history in Britain. The National Festival of Making aims to raise national, if not international awareness of the benefits of making and looks to inspire visitors. For two years the festival has created a living experience of making in Blackburn town centre with and for communities – we continue to challenge ourselves to create an inclusive, meaningful and high quality festival that provides making for everyone. Through hundreds of partnerships and extensive community engagement, Lancashire has taken the festival on as its own, but this is also a nationally relevant festival weekend and one that increasingly will attract culture visitors to Blackburn and Lancashire. If you’re interested in making of any kind, there is nowhere better to be this June than in Blackburn. For updates about the festival programme and information on how to get involved, please visit the Festival of Making’s website.